I know these are sort of a cop-out and a lazy style of blogging, but it does give me the freedom to keep up on the blog on days when I don’t have a lot of time to devote to writing original content or collecting a group of great comic stripes or something like that. Though sometimes called forest giraffes, this creature doesn’t look like a giraffe. It does have a long tongue, but it has the body of a horse and its legs have stripes, like a zebra. Males also have two small horns on the tops of their heads that are covered with skin. 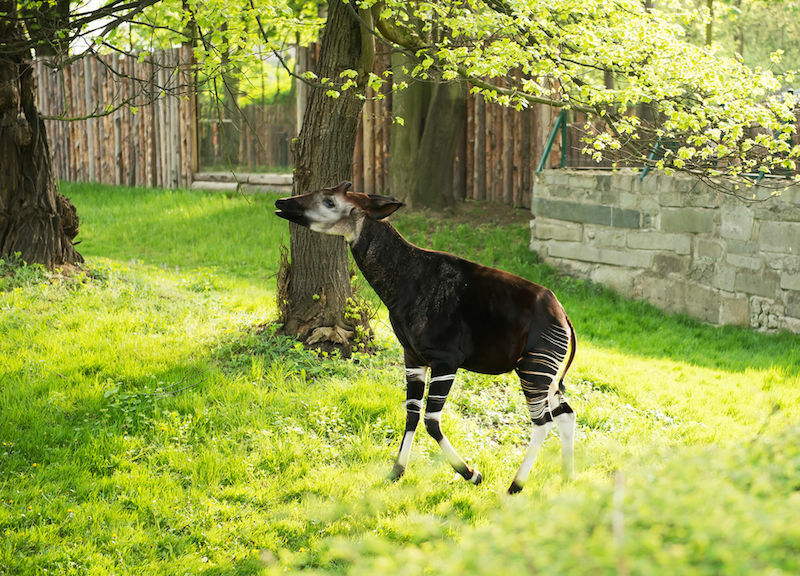 Okapi are part of the Giraffidae family, according to the Integrated Taxonomic Information System (ITIS), which does make them relatives of giraffes.